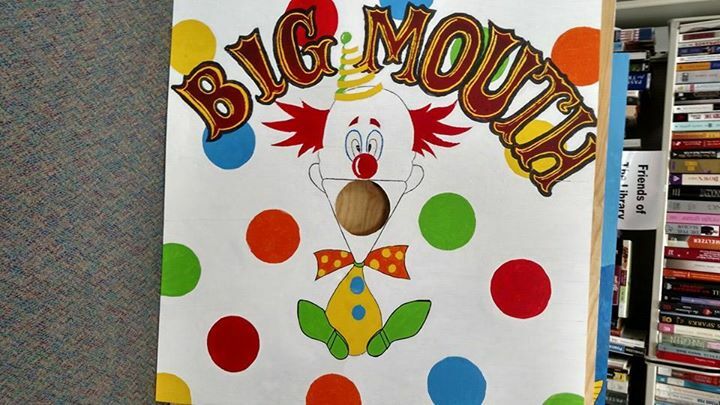 Regular Carnival games like Big Mouth will be attendance! Big Mouth: Throw the tennis ball through the hole and win! All of our games were designed, cut, painted and crafted by library staff. 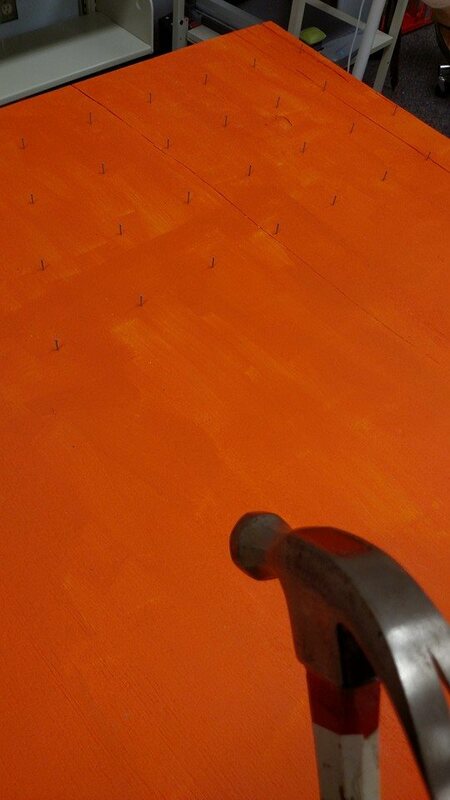 All the nails in our Plinko board were put in by yours truly! 176 nails. WHOO-EEE, is my hammer arm tired! Other games included will be picking out rubber ducks for prizes, ring toss, football throw, penny drop, fishing for prizes and more – 11 games total. I think it’s pretty good at this point. We even made a display with mini versions of our games! It’s all been built and is ready to go – don’t worry, I’ll get pics of all the games now that they’re done. If I’m lucky, I’ll get some pics of me doing my MAGIC SHOW! Pour juice into a hat without ruining it! Slice a banana with a laser pointer! Turn scarves into a flag! Librarians, are you guys doing anything for spring break kids? Let me know what your library is up to! 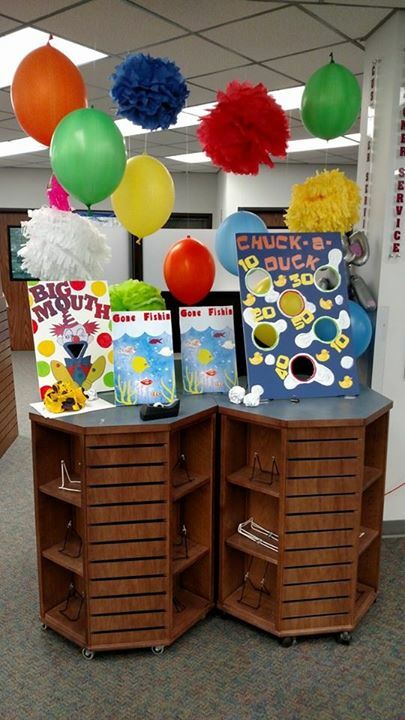 This entry was posted in Uncategorized and tagged big mouth, book, book sale, books, Brash, Brasher, carnival, facebook, games, justin brasher, librarian, librarians, libraries, library, library science, magic, MLS, prizes, reading. Bookmark the permalink.